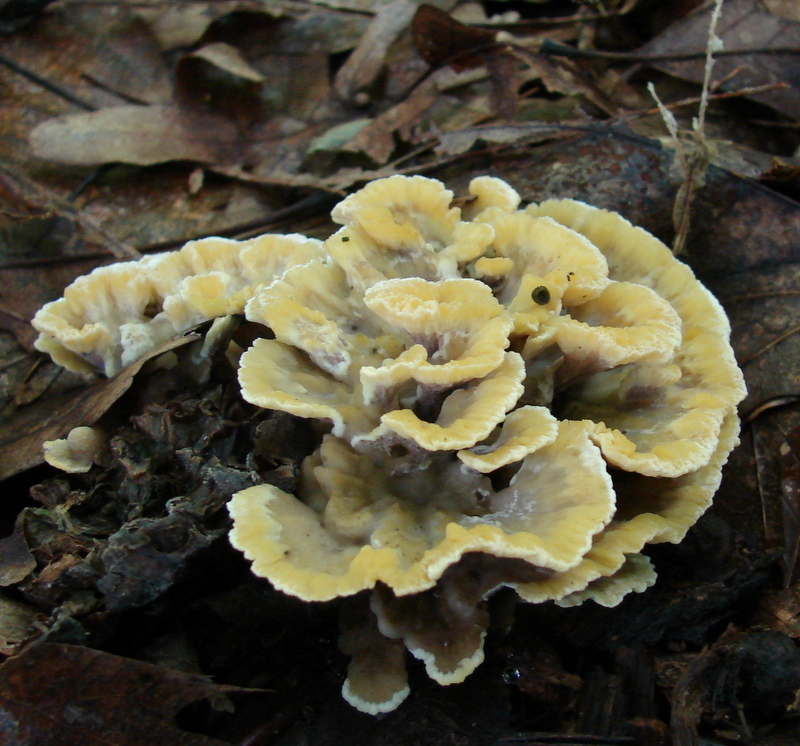 Mushroom Observer: Observation 11585: Thelephora vialis Schwein. Observation 11585: Thelephora vialis Schwein. Recognized by sight: although small, all the othercharacteristics fit, as Eddee mentioned in his post. This had a white spore print and the outer edges where tender enough to eat although a little tough tword the base and bitter the outer parts had good flavor, As i look at my notes i mentioned in my notes that there was a white slight milky substance exuding from cuts. , I Entered this specimen in MO, when i first joined and really did not know what i know now. Also i was only in in WV a few months. In light of the newest information I would have to place this in Bondarezewia. I have seen others of this and they are huge but also iv seen smaller ones. Tom Volk got it right. Eddee, did you actually do a spore print?? You’re right, we can’t take every statement for granted. Eddee, is it possible that you have mixed up this photo with another collection that you brought home? Thelephora doesn’t have white spores but I’m going by what I can see not what I’m told to believe… Does anybody else have any other ideas? My other thought was Meripilus but this fungus can’t be more then a few inches across. Thelephora does not have white spores (and would hardly make a nice meal either)!